Always resourceful, she reluctantly strikes a deal with the town’s smooth-talking ladies’ man Dylan Taylor: She’ll work with his ailing horse, Braveheart, if he’ll help her answer the reader letters.Working closely with Dylan is harder than Annie imagined, and she quickly realizes she may have misjudged him. But her unwavering conviction that cowboys are nothing but trouble has kept her heart safe for years. And she can’t risk getting hurt now. I've been waiting for ages for the latest Denise Hunter book to be released and then have to wait for it to arrive on our Aussie shores - it's been a while and I've been needing my Denise Hunter romance fix all year. 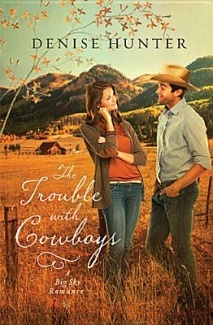 I got it with the final installment of the Big Sky Romance Series. So the trouble for Annie is that Dylan's a cowboy and for Annie that's a big fat no-no. Trouble is they have chemistry and Dylan won't stop flirting with her and Annie likes it - it just takes her forever to figure it out and then admit it! The romantic tension between these two characters is great; their chemistry just bounces off the walls. I kinda fell in love with Dylan's dimpled grin myself for a little while. Watching him fall for Annie without realizing it was a real treat too. Watching Annie struggle with her attraction was kinda of fascinating - she knew what he was (a cowboy) but not WHO he was and her conflicting emotions was really well played out. My only qualm with the book is the circumstances ultimately keeping them from finding true happiness was not as compelling as I would have liked. In short the problem was not big enough or impossible enough to overcome. They did overcome it - this is a romance people - and I'm glad they did; it just wasn't as hard as I thought it should be! Don't worry though, I was rooting for them all the same. Who couldn't have after meeting Dylan? I'm sad to see the end of this series as I really enjoyed Montana and Moose Creek and the people I met there. It'll be a long wait for Ms Hunter's next book that's for sure! Jess' favourite genre is contemporary women's fiction and contemporary romance fiction. She also enjoys historical fiction with a focus on romance. She loves books set in country towns or farms with a cowboy featured in either historical or contemporary settings. 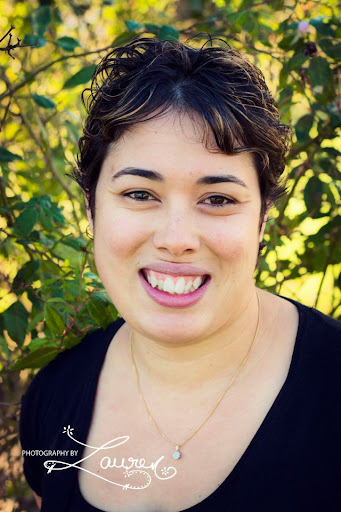 She is currently writing her first novel, a contemporary women's fiction/romance set in a small country town.